It's not Hoboken campaign season until the shrill sounds of hyper partisan attacks sound. In Hoboken, it's not been the typical shrillness since the 2015 council races concluded. Councilman Mike DeFusco had his campaign launch an initial salvo against Freeholder Anthony "Stick" Romano but didn't stop there. The next target was Council President Jen Giattino who his campaign alleges she supported "the failed policies of Chris Christie" and "solicited a campaign contribution from Chris Christie's brother Todd..."
A source close to the newly minted Jen Giattino mayoral campaign pointed to the City Council President's six years on the City Council with a voting record of accomplishment for Hoboken voters to consider versus the junior councilman saying, "Jen Giattino is respected by people across the diverse community of Hoboken and is happy to put up her record in the community on and off the council against anyone." The $1,000 contribution was laughed off with the rumors of DeFusco's rapidly growing war chest, almost all of it from people outside and with no ties to Hoboken. "Todd (Christie) is a long time friend of the family back to when he and Jen worked on the floor of the Stock Exchange years before his brother entered politics and became governor," the source added. Councilwoman Tiffanie Fisher in a previous story with Hudson County View stated Giattino was not a Trump voter as she ran to be a John Kasich delegate in New Jersey last year. Now it emerges it's Mike DeFusco's campaign with direct ties to Donald Trump. 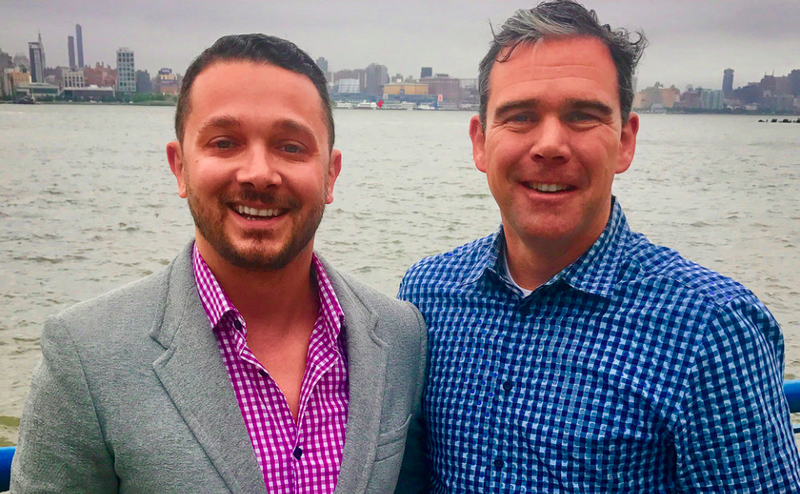 His first council candidate selection, Hoboken businessman Michael Flett is reportedly a Trump donor. On Monday Councilman DeFusco was contacted for comment on the issue, one ironically created by his own campaign. So far it's been complete radio silence. If DeFusco doesn't wish to respond will his campaign or his backers provide an answer? Mayoral candidate Mike DeFusco saw a Trump grenade boomerang back to him. At this point, Council President Jen Giattino is taking the high road with the attention she's been getting pointing outside the nonpartisan arena of Hoboken's municipal races. She issued a statement outlining why she belatedly got into the race after Mayor Zimmer's sudden withdrawal. "As a three-time council president, I became a candidate for mayor because of a belief Hoboken must see a reboot of new ideas and a new engagement in a spirit of community taking Hoboken to the next level. The support I've seen from council colleagues and the community is what prompted my entry into the race for mayor. I'm looking forward to a constructive, positive campaign where I can have this conversation with Hoboken residents through Election Day." Two of Giattino's colleagues highlighted in recent day are the uptown reform oriented council members Peter Cunningham and Tiffanie Fisher. They have substantial support in the fifth and second ward and coupled with Giattino's sixth ward cover the important base of what's been called the Reform Movement. Other council members generally aligned with reform are Jim Doyle and Dave Mello. It's unclear in what direction they may go as Doyle considers a potential second term while Mello is completing his second, first arriving on the council in 2009. Sources suggest Doyle was the only council member invited to the stunning press conference where Mayor Zimmer simultaneously bowed out of the November race and followed with an endorsement of two term Councilman Ravi Bhalla. Doyle may be feeling like last of the Mohicans with the sudden twists in the race. 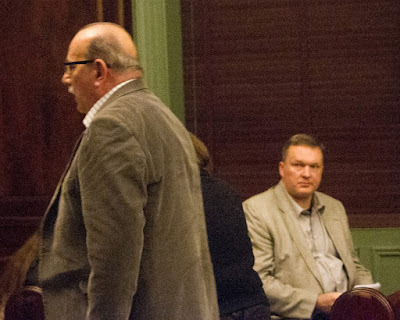 meeting in 2016 after he was voted to replace Raia on the NHSA. Much of the attention for Hoboken this November has focused on the large field of potential mayoral candidates with perennial candidate Patricia Waiters pulling petitions again for mayor. She ran most recently for freeholder against Romano and if everyone files the necessary 360 petitions in September, it will make an eight candidate field. There are however three at-large council seats up too. 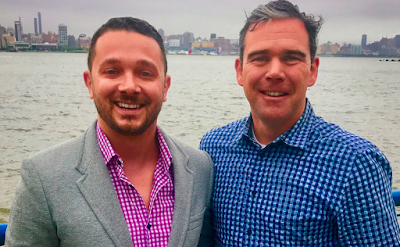 Kurt Gardiner, a sitting North Hudson Sewerage Authority commissioner and the newly elected Sargent at Arms Hoboken Democratic Committeeman pulled petitions for City Council on Monday. He was out yesterday collecting signatures and is weighing prospects for an independent "headless" council slate. Some people may receive calls inviting them to be on his slate with no mayoral candidate atop. On Facebook, Gardiner highlighted an issue of his concern with the 7th and Jackson project saying Hoboken should never approve such a PILOT and plan again. The project extends givebacks to Hoboken with a park at the former Pino tow yard and affordable housing units but the 30 year PILOT agreement is far too profitable for the developer Gardiner says. The criticism brought out some Zimmer supporters who were none too thrilled to see it. Among the mayoral candidates, Council members Ravi Bhalla and Mike DeFusco voted for the redevelopment deal and Jen Giattino and her ally Tiffanie Fisher voted no as it passed easily last summer. Expect to hear more about the 7th and Jackson mega development during the campaign.